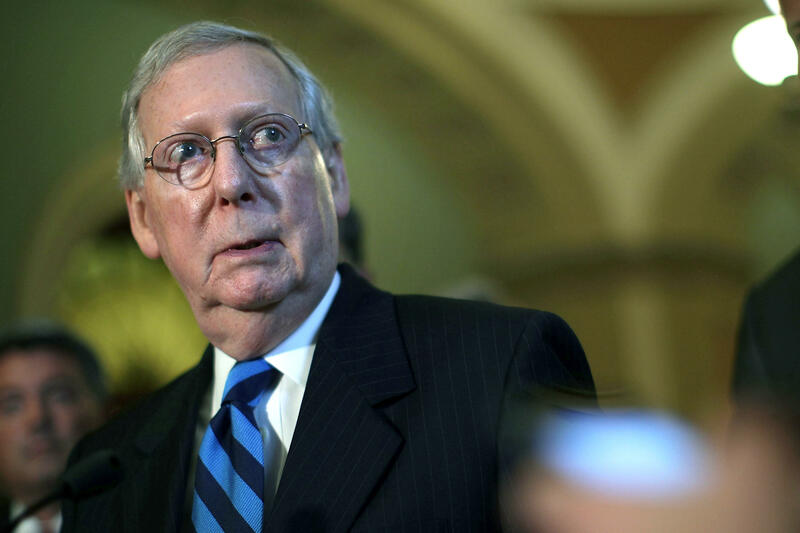 Mitch McConnell responds to Trump: "There are no good neo-Nazis"
Senate Majority Leader Mitch McConnell on Wednesday responded to President Trump's suggestion a day earlier that there were "very fine people, on both sides" in Charlottesville last weekend. "There are no good neo-Nazis, and those who espouse their views are not supporters of American ideals and freedoms. We all have a responsibility to stand against hate and violence, wherever it raises its evil head," the Kentucky Republican said in a statement. McConnell didn't explicitly call out the president in his statement, which also said that white supremacist, neo-Nazi and KKK groups are planning a rally in Lexington, Kentucky. "Their messages of hate and bigotry are not welcome in Kentucky and should not be welcome anywhere in America," he said. Speaker Paul Ryan, R-Wisconsin, tweeted Tuesday, "We must be clear. White supremacy is repulsive. This bigotry is counter to all this country stands for. There can be no moral ambiguity." A number of GOP lawmakers also tweeted or issued similar statements, with many not addressing Mr. Trump directly. Some more moderate members, on the other hand, did call him out by name. During a press conference at Trump Tower Tuesday that was supposed to be a statement on infrastructure, the president again blamed both sides -- the white supremacists and the people protesting them -- for the Charlottesville violence like he did on Saturday after the terror attack. "You have some very bad people in that group. But you also had people that were very fine people, on both sides. You had people in that group — excuse me, excuse me — I saw the same pictures as you did. You had people in that group that were there to protest the taking down of, to them, a very, very important statue and the renaming of a park from Robert E. Lee to another name," Mr. Trump said.